Biological medicine is based on the understanding that the body has an innate ability to properly heal itself when it is in the proper environment. Using biological medicine to treat cancer is an entirely different way than treating it with conventional medicine. Dr. Roberts shares her knowledge about how cancer is a process in the body, and how the body has an ability to heal itself. Join us as we speak with Dr. Roberts as she shares how she uses biological medicine to help treat cancer, and how we can all try to prevent a cancer diagnosis. 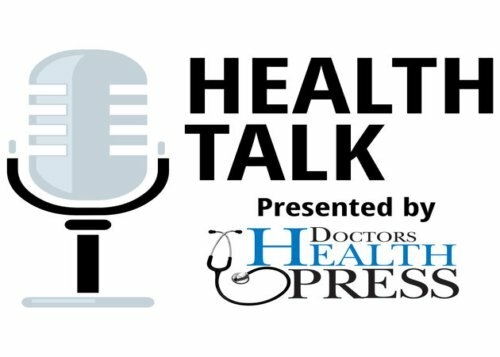 Hello everyone, welcome and thank you for taking the time out of your day to join us for this episode of Health Talk by Doctors Health Press. My name is Sarah Cownley, nutritional therapist and I’m the host of this show. This is episode 10 titled Treating Cancer from a Biological Medicine Perspective. Now I’d just like to take a quick moment to speak about Doctors Health Press. If you haven’t been to our website yet, you need to click over there, after you’re done listening to this show. You see, although our podcast might be new, our website has been around since 2003 supplying invaluable amounts of information to those looking for answers to their health problems. So if you’re looking for an unbiased, informative health website that you can really count on, then look no further. You see, the best part is that once you’re on our website, you can take advantage of a lot of our free reports and even sign up for free daily email letter. So this daily e-letter letter is really just a short email that we send out to you every day to keep you up to date on really a wide variety of natural health topics that can keep help you and your family happy and healthy. So be sure to visit doctorshealthpress.com after the show and take a look around at our really extensive collection of natural and alternative health advice articles. So getting back to our show today, we’re going to be discussing how to treat cancer with biological medicine. Many times when people get a cancer diagnosis, they get stuck in conventional medicine and don’t really know or haven’t been told about the numerous natural cancer therapies that are available. There’s so much research done on natural cancer therapy, but many of the findings have really been kind of hidden deep down below a lot of the conventional medicine information. And to be honest, many of the therapies most used such as chemotherapy and radiation really have such horrible side effects and they don’t really treat cancer to fully eliminated from the body. As many patients believe it’s doing. For example, many people are not told this, secondary cancers are actually a known side effect of chemotherapy and radiation, so just imagine that you managed to defeat the cancer you were being treated for, but the treatment actually managed to create another type of cancer in the body. This is why I feel is just so important to get more information out into the public about natural cancer therapies so that everyone can really have the opportunity to make the decision and how they would like to treat their illness. So, our guest today is Dr. Melina Roberts and she’s a naturopathic doctor and author of building a healthy child and founder and clinic director of advanced naturopathic medical center in Calgary, Canada. She’s a leading authority in the field of naturopathic medicine, specializing in biological medicine, effectively treating digestive issues, hormonal imbalances, chronic disease and cancer. Dr. Roberts graduated from the Canadian College of naturopathic medicine in 2004 and prior to her studies she graduated with honors from the University of Waterloo with a bachelor of science following her naturopathic studies. She did a two year postgraduate study in European biological medicine with the Paracelsus Klinik in Switzerland. So Dr Roberts, welcome to health talk and thank you for joining us today. Thank you so much for having me, Sarah. I appreciate it. Now today you’re here to speak with us about the treatment of cancer. So for those of our listeners who may have received a cancer diagnosis or maybe their loved one is suffering with cancer, this is really a different type of treatment that they may not have heard of before. So could you just start off by explaining maybe what the term biological medicine means. For sure. So, biological medicine has been around for a number of years. It originated in Europe and it’s based on the understanding that the body has an innate ability to be able to heal itself when it is in the proper environment. So we want to get the whole organism to really be able to function properly. So some of the things that we’re going to be doing is we’re going to identify and remove stressors and we’re gonna improve organ function and allow the whole system to be able to function the way it was designed to function. There’s two really main components when it comes to biological medicine and one is adaptability, so it’s the body’s ability to be able to adapt to different stressors that come into its environment, whether they’re internal stressors, external stressors, and the body should be able to adapt or self heal. One of the great examples I tend to use is say you’re a person and we put you into a hot environment, so how your body will adapt to that heat is that you will start to sweat. So that’s a normal adaptation to that stressor. Another thing is that if we take that person and we put them into a cold environment, what will happen is that your body will produce some goosebumps and you might have a shiver and so that’s your body, again, adapting. And so every cell, every system, every part of your body needs to have this adaptability and the better we can adapt to different stressors. The healthier system is the other component of biological medicine, which is really important to something called terrain. So that’s really our body’s internal environment. It’s the environment that our cells live in. It’s also called, or extra cellular also called our micro environment and in order for our cells to be healthy, they need a healthy environment to live in. So terrain ends up being a really key component. And the analogy I like to use for terrain is if you have a plant, for any of the gardeners who are out there, if you have a plant that’s sick or that that’s not doing well, you don’t do anything that you don’t do any sort of manipulation to the actual plant. What you do is you actually change the soil that the plant is living in. If you change that soil, you can actually help that plant to regain health. And that’s what we do in terms of terrain. If we can change the environment that our cells are in, then we can help to make ourselves healthier and all of our cells being healthier actually help our whole organism to be healthier. So that’s just a little bit about what biological medicine is all about. Okay. So it, it really is kind of a different way of approaching healing. Exactly. I assume when a lot of people are diagnosed with cancer, they kind of asked the question, you know, how, how did this happen to me? How did I get here? But a lot of conventional doctors, I don’t think really address this. They’re just kind of trying to demolish the cancer in the body without taking. Exactly right. To look at the root cause, which is kind of what you were mentioning there with the soil. So, Dr Roberts, how do you feel that you view cancer? I guess you’re obviously taking in to consideration the root cause. Exactly. Yeah. And so, and the thing is, is that the root cause of cancer is definitely, it’s multi causal, it’s multi-systems. But in general, cancer is a process in the body and we need to address the process that allowed those cancer cells to grow. So what we found is that there’s actually three main characteristics that contribute to that cancer process. One is that that terrain, that environment is more acidic. When that environment is more acidic, it makes it so that that’s an environment that allows cancer cells to be able to grow and thrive. Another environment, another characteristic in terms of that cancer process would be a lowered immune system. So the immune system is your defense mechanism. It’s like your army. And if that immune system is lowered, if your defenses are down, if your army is not working for you, then that also is another characteristic that allows cancer cells to be able to grow and thrive because all have cancer cells within us. So we have to have a mechanism that it actually helps to maintain them and keep them at normal regular levels and not allow them to overgrow. And the third characteristic in terms of this cancer process is having a challenged pathways of detoxification. So these are the organs that help to move toxic loads effectively out of the body if these organs aren’t working at their best, that means that toxic loads are staying within our body. So one of the main things that we have with that in terms of characteristics of that cancer process is that they will have challenged detoxification pathways. So in terms of how we address cancer is that we are working on addressing these, addressing and changing these three main characteristics because we want to affect the process that allowed those cancer cells to be able to grow. Okay. And I know you just touched on the detoxing and I know that something extremely important to get those detox channels open. Correct me if I’m wrong. It could actually prevent maybe or sorry, potentially create more sickness in the body. And you also just mentioned that we, we all actually have cancer cells in our bodies every day. Is it just a matter of them being activated? And are there any tests available that can tell us maybe you’re on your way to getting cancer, making something that could help catch it before it turns into a full cancer diagnosis. So we definitely do some functional testing within our clinic and, I don’t necessarily say that you have a, yeah, that you’re on your way to getting cancer. What we want to do is we want to treat patients where they’re at and then try to push them more towards optimal health. And for sure I always say that, you know, dysfunction over time leads to disease, so we want to try to move people away from that dysfunction into more of that optimal health stage. So some of the tests that we do in our clinic, one is called dark field microscopy and this is where we look at the live blood cells underneath the microscope and we can get an idea of what’s going on with the body’s internal environment. So whether cells are all stuck together and when they’re stuck together, you get more of that anaerobic metabolism happening. So not enough oxygen can get into those cells and we can see if there’s toxic loads. If you’re not properly absorbing nutrients. We can also take a look at your immune cells so we get an idea of what, how well your immune system is functioning and whether your defenses are down or whether your defenses are really strong. Another test that we run is called whole body regulation thermography. And what this is, is it’s a test that tests about 119 points all over the body. And it’s testing points from the head, the neck, the whole thorax, which include all the breasts and the, all the vital organs, and there’s back points which include the kidneys and what we’re doing is we’re going through and using this really sensitive a temperature gauge on these 119 points. And then what we do is we give the body a stressor and that stressor is simply all of those points being exposed to a certain temperature for 10 minutes. And then we recheck those points. And what should happen is that all those points should be able to regulate themselves if those tissues can regulate themselves than those tissues are able to heal themselves. So then we’re able to get an idea of how all the different systems and organs of the body are able to properly regulate. Because the challenges is that just because you have a tumor in certain area of the body doesn’t necessarily mean that that’s where the dysfunction is in the body. So that’s what we’re trying to identify with our testing is where is this dysfunction? Another test that we run, within our practice is something called heart rate variability. And what heart rate variability does is it’s evaluating the autonomic nervous system. So this is the part of the nervous system that’s going on in the background that we don’t consciously control. And there’s two parts to that nervous system, there’s your stress state, so your fight or flight run away from a tiger part of your nervous system. And then there’s the other part of your nervous system which is your rest, digest and repair and detoxify. So we want to see how stressed is your system and then how well can your body heal itself because if your body is not able to effectively a shift into that parasympathetic state and be able to effectively heal, if it’s too highly in that stress state, then it makes it more challenging for your body to be able to heal. So these are just three great tests that we will do on a regular basis to help to get an evaluation of where patients are in terms of their health and where we want to try to help to move them in terms of shifting them more into optimal health picture. So once you run these tests and you can see that maybe someone does have cancer or if someone’s had a cancer diagnosis from another doctor, why should someone consider some of the natural treatments over the conventional medicine such as chemotherapy or radiation? So, I, I’m a big component of educating patients and letting patients make their own decisions. But I think what a lot of people don’t realize is that there are a lot of Bible options. So the challenges is that, you know, chemotherapy and radiation, they do, they can kill off cancer cells, but what they’re designed to do is just designed to kill off fast growing cells. So they can break down cancer cells. But there are other healthy cells that are also fast growing, such as immune cells, such as a digestive. The cells that line your digestive track here, follicular cells, your skin, so that’s why you’ll see those common side effects from chemo and radiation being hair loss or rashes or diarrhea. So, you know, in terms of chemo, radiation, it’s really about breaking down the body. Whereas we operate on a different philosophy in that we want to help to build up the body and we want to help to make it so that your body is strong enough to be able to remove, change that process and remove, remove any of that cancerous tissue. You know, I think that like in terms of people’s understanding, a lot of people understand that the body has this capacity to be able to build tumors, but they really have this hard time. They have a hard time wrapping their head around the concept that our body also has this ability to be able to break down tumors. So, in terms of what we’re doing, we’re always working on helping to build up the body, make the system stronger and allow the body to be able to do the healing. Yeah, I think a lot of times people forget that our bodies are amazing and we can really heal ourselves. I always like to go to the analogy of, you know, if you cut yourself, if you have a paper cut, you can heal it. Yeah, exactly. That’s, that’s the amazing thing about our body. Right. But we don’t understand, but we seemed like we can’t, we can understand it in terms of the paper cut, but we can’t seem to. A lot of people can’t seem to grasp that concept when it comes to something like cancer. Right. So we really need to, to change the way that we think about how we can heal ourselves. Now does the biological medicine therapy, I know we’re kind of generally speaking about all types of cancer, but does it work for all types or is it specific ones? Yeah, so it can, it can address all different types of cancer. Definitely our therapies will shift and change based on different cancers that people are coming in with. But in general, what we’re trying to really address is that process, that internal terrain that allowed that tumor, or that cancerous process to actually occur in the body. And so we want to change that and we want to reprogram in that. Okay. So in your clinic, if someone’s diagnosed with cancer and they come to you for treatment, I was gonna ask what the process looks like, but what you’re saying it’s completely different depending on the type of cancer and I guess what stage they’re at as well. It can be, yes, but the thing is, is that what I want to run is, because usually patients are coming in to me, they’re already coming in with a diagnosis. They’re coming in with a lot of their paperwork and testing that they had done. But what I want to look at is I want to look at them from a functional point of view. I want to see what does that terrain look like, which organs are not regulating. How was that nervous system functioning? So I want to look at it from just a different perspective. And then address their treatment plan according to what I see in those tests. Speaking about treatment plans, I’ve heard of a lot of doctors treating patients with high doses of vitamin C. is this something that you do in your clinic and if so, how does that work? Yeah, so yes, we do high dose vitamin C IV’s in our clinic. So how it works is really what we’re doing is we’re, we’re putting high dose vitamin C, we also stick, some other components in there, some other nutrients and minerals in with that vitamin C IV, but we’re doing it right into the vein and then dripping that fluid into a patient. And what we’re doing is we’re actually from that we can bypass digestive track so we can get these doses to be quite high and because they’re quite high they get rapidly absorbed into the cells and can have. So we can get it at such a high concentration that has a very different therapeutic effect than if you were to take vitamin C orally, you wouldn’t be able to get these kinds of doses or this kind of therapeutic effect with just taking oral doses of vitamin C.
So we get rocked, rapid absorption of the minerals, the vitamin C, even though it’s an ascorbic acid, it’s actually, once it gets metabolized in the body, it’s actually very alkalinizing in the body. The other thing is, is that at high doses of vitamin C becomes a pro oxidant instead of an antioxidant. And what happens is that as a pro oxidant, it goes intracellular, so it goes into the cell and it actually generates hydrogen peroxide and hydrogen peroxide a selectively kills unhealthy cells, including cancer cells. And it leaves, those healthy cells unharmed. So this is a huge component of what vitamin C can do. The other thing that vitamin C also helps do is also helps to help to attach onto toxins and help to move that toxic load out. So it has so many great effects in terms of treating many different disease processes, but especially helping with a cancer pictures. Absolutely. And just from listening to you say that I get then how you, how you were saying that you try and you know, you’re boosting the body up and also just like you had just mentioned how it can kill the cancer cells, but leave the healthy cells alone, which is what the chemotherapy can’t do. It can’t differentiate between those two. Okay. So speaking again about kind of building the body up, we all know that diet plays an important role with really helping with the treatment of all sorts of illness and disease. So what would a diet look like for those who have recently been diagnosed with cancer? So to me diet is such a huge component of a cancer program. Diet plays such a big role in terms of helping to shift the body into, into that more alkaline state. So I’m actually pretty strict when it comes to diet because we need the diet in order for us to get the proper nutrients and minerals in for our body to be able to do a lot of that healing. So the diet, I’ll start with what, what you can’t have in this diet was what you can’t have is that we, I removed the gluten because that’s a major inflammatory food as well as cows, dairy, white refined sugar. We’re moving processed foods and any sort of chemicals, peanuts or out of the Diet. And then I also restrict or limit animal proteins and in terms of animal proteins, that kind of depends on how um, how uh, acidic their system is or how bad a shape their system isn’t. But in general, I’m okay with small amounts of clean animal protein. So that means organic grass fed or wild animal proteins. So no, none of the commercial meats, which tend to be more inflammatory because of how they’re fed, how they’re fed the grains. And then what we want to be eating is we want to be eating a large amount of plants. We want to be eating lots of vegetables, I’m still a limited amounts of fruits and the more Greens we can have, the more mineral rich the diet will be. So grains, I’m plant based proteins, small amounts of fruits and um, and then we also want to be getting lots of thoughts, but it tends to fall into that plant based proteins and vegetables. So we want lots of fats like, like your avocados and nuts and seeds, and good healthy oils. So one thing that we all want to know is how do we prevent cancer? What would you say is the best course of action in taking these preventative measures to ensure that we don’t activate those cancer cells that we do all have in our body? So I think prevention is key and I would love to see more people leading a healthier life. And when it comes to prevention, I think it really just comes down to getting back to basics. So in terms of diet, we want to be avoiding those major inflammatory foods. We want to be avoiding the wheat, the cow’s dairy, the refined sugars, we want to be eating more plant based foods. We want to be having a higher amount of vegetables and fruits and nuts and seeds. In terms of the diet, we want to make sure that we’re drinking a lot of good, clean water sources, so around two leaders for an adult of filtered water. So we want to make sure that we take out any sort of impurities, microbes, chlorine, fluoride, out of the water. We want to make sure that we’re getting a lot of good quality sleep because during your sleeping hours is when your body is doing a lot of its repair and detoxification. So we want to be getting between seven and nine hours of sleep per night. This is going to help to rejuvenate our system and keep our systems nice and strong. We want to be exercising every day. So we want to be moving our bodies. Our bodies were not designed to be really sedentary. We were designed to move. So we want to make sure that we’re moving at least 30 minutes a day. I’m incorporating that into our lives on a daily basis and the other thing that we want to be doing is we want to be doing things that help to decrease stress because our body does a lot of it’s healing when it’s in that parasympathetic nervous state. So if we can shift our body into more of that parasympathetic state, then we can help to get more healing happening because that’s going to happen in our sleeping hours. But we also want to have to have habit happen when we’re, um, during our daytime hours. So things that will show to decrease stress, doing deep breathing exercises, doing yoga, meditation, anything that just can help to relax us. So these are, you know, great formula. Getting back to basics is going to be great prevention. Dr Roberts, I’m so glad that you mentioned stress because I know a lot of times we focus on diet, exercise, all the things we kind of hear about time and time again. And we all know that we should be doing. Yes, exactly. I know. And those things you need to be doing on a consistent basis every day. Right. But a lot of times people don’t address stress and I think it’s great that you brought that up. Yeah. And I think that in our, especially in our Western world, most of us are walking around chronically stressed and you know, and it’s not just that mental, emotional stress, it’s the stress of I’m eating the wrong foods or taking toxins into our body. That’s all considered stress in it. It makes it really challenging for our bodies to function optimally when our systems are under stress. Dr Roberts, I know we spoke previously about the high doses of vitamin C, but what other therapies and treatments do you offer in your clinic? So we offer a number of advanced therapies that really helped to change the body, how to address in terms of shifting the body from a more, uh, a more acidic environment to a more alkaline environment and also help to target and breakdown cancer cells. So, uh, one of the therapies that we do is, uh, first of all that high dose vitamin C IVs are extremely important part of the program. The other thing that we do is something called full body hypothermia, and if you’re aware of the body, I’m aware of what fevers do with the within the body. When you have a cold or a flu, the body, what you do is you raise the temperature of the body and by raising the temperature of the body, you actually allow, create an environment that does not allow that infection to be able to live. Now that’s the same thing that we do with hypothermia is that when we raise the temperature of the body over a sustained period of time, then we actually create an environment that doesn’t allow abnormal cells, pathogenic cells to be able to live. And so we do this. We raised the temperature up and then we try to keep people in that race temperature for about 30 minutes to an hour. And, that effect in terms of boosting the, it helps to boost the immune system overall and break down those cancer cells. We also don’t do something that’s a bit more targeted, called local, local hypothermia. And I have a machine that I got from Europe and what it actually helps do is it actually helps to do a deep heat to help break down a unhealthy cells or cancerous cells and it leaves those healthy cells intact. It actually helps to make those healthy cells even stronger, but with that heat. And so that’s very targeted and it actually works quite well together with both the high dose vitamin C IV and the full body hypothermia. One of the other treatments we also run is ozone therapies. And so we’d have a number of different ozone therapies with a including with where we take some ozone, we mix it in with some blood and then we usually will feed that back to a patient. And before it gets back to the patient, it also goes under an ultraviolet light. And so we combine it with an ozone therapy and something called a UBI. So ultra violet blood eradication. And what that’s helping to do is this helping to get oxygen into the cells. Because what we also know about cancer cells is that cancers operate best in an anaerobic environment. So an environment that doesn’t have enough oxygen, so we are able to get more oxygen into the system. It helps us to separate those cells and then get oxygen into those cells which changes the metabolism that happens within those cells so it changes it from being more of that, from that anaerobic metabolism into that aerobic metabolism and that can really change that environment and help to break down cancer cells, bring up the immune system. Another therapy that we offer as well as something called mistletoe injections and this is widely used in Europe for cancer treatments both on its own and as an adjunct cancer treatment. And what it helps to do is it helps to actually boost up the immune system and actually helped to inhibit any of those cancer cells to be able to grow. So and this is. There’s tons of scientific evidence that shows the benefits of mistletoe injection in terms of treating and treating cancer, increasing survival rates, prolonging survival time, improving quality of life. A lot of great things in terms of mistletoe injections. So those are just kind of a. A few of the more advanced therapies that we offer in addition to changing up diet supplements and doing some of those lifestyle changes in terms of um, making sure people get enough sleep and that they’re doing some things to decrease the stress in their lives. So a lot of those great lifestyle things in terms of those treatments really just helps to get people on the right path to healing. You had mentioned that the mistletoe therapy or treatment that actually came from Europe and I used to live in Europe and their treatments and therapies over there just, they have so much more of a variety of alternative treatments available. So it’s great that you’re bringing some of these over to North America. Yeah. I went and did some training in Europe and as I was learning a lot of them, I was thinking, well, I want to actually be able to bring this knowledge and this information to North America. And so that’s what I’ve done is that I’ve, I’ve learned a lot of that information and then brought to the testing and the therapies, the knowledge, the philosophies to a North American, our clinic here in Calgary. That’s great. It just gives so many more people. More options for their treatments. Yeah, exactly. And that’s what I think that we want people to know is that they have great viable options in terms of cancer treatments. Now I have also been kind of combing through your Instagram feed and you have so much great and valuable information on there. So you’re welcome. I just let our listeners know that I highly recommend people going and following your feed so they can find you on Instagram at Drmelinaroberts and you also have a website that you regularly contribute to. Again, you’ve got so much information on there. I’m not only on cancer treatments but a wide variety of health topics. Is that right? Yes, exactly. Which, yeah, we try to put out content on a regular basis. Perfect. And so, people can find that website at advancednaturopathic.com. And Dr Roberts, I just wanted to say thank you so much for joining us today. You’ve given us all of this invaluable information about biological medicine and how it all can really help with the treatment of cancer. So thank you for taking the time to join us today. And thank you to our listeners who take the time to listen each week. If you’ve been enjoying the topics that we’ve been covering, don’t forget to give us a star rating to help keep us on track. This way we’ll know what you have enjoyed or maybe what we should change a little. So before you go today, please do click on the stars and let us know what you think. Now, as I had mentioned at the beginning of the show, one of the best ways to keep up on the latest alternative health news is to sign up for our free daily bulletin. It’s full of great alternative and natural health advice and it’s delivered to you for free every morning. So all you have to do is simply sign up for the letter. On our website at doctorshealthpress.com and while you’re on the website, as I said at the beginning of the show, please do take advantage of our many free articles and reports that are offered. There’s just so much valuable information on that site that you may just find the answer to your health issue that you may have been struggling with. Now, if you find Doctors Health Press formative and you feel that it could really help you in your family, then we have a great promotion going on right now. You see apart from our daily bulletin, we also offer monthly publications and these newsletters really go more in depth and talk more about the studies and research, have all of these alternative health options. And right now, like I said, we’re offering one of these publications at a discounted rate. So to find out more about the special offer, just head over to doctorshealthpress.com/podcastdeal. So again, it’s doctorshealthpress.com/podcastdeal, all one word to learn more about the offer. So until next time, I’m Sarah Cownley reminding you that it’s never too early or too late to work towards being the healthiest version of yourself. The information contained herein is for information purposes only and is not to be construed as a diagnosis, treatment, preventive, or cure for any disease disorder or abnormal physical state. Nor should it be considered a substitute for medical care from your doctor on any matter relating to your health or wellbeing and prior to undertaking any health related activity. Consult inappropriate health professional. The opinions here in are exactly that. They are the opinions of our guests. Doctors Health Press and its employees are not responsible for medically unsupervised activities that could be harmful to your health. Results are not guaranteed and may vary from person to person.